Over the past few decades, the way people go about connecting and forming relationships with each other has dramatically changed. With huge advancements in communication technology, we have seen the more traditional ways of finding love become increasingly replaced by alternative, online methods that have vast user bases and promise fast connections. And with this online trend showing no signs of slowing down, there is much debate about whether or not such services are actually a more effective way of meeting people than age-old offline encounters. 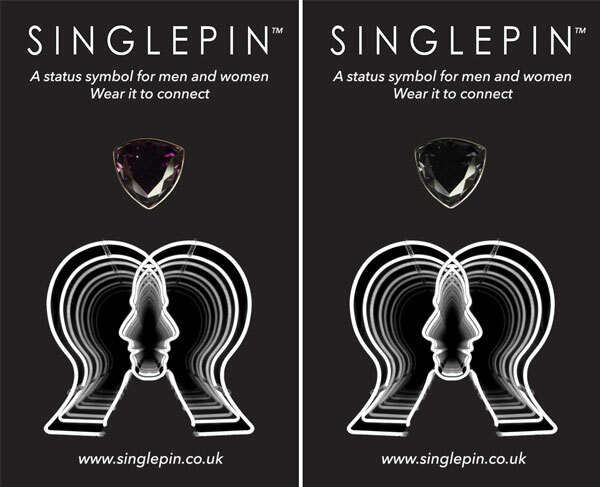 One reaction to the ongoing rise of online dating is Singlepin, a new wearable symbol that distinguishes people who favour real-life connections over online interactions. Created by Dianne Harris, Singlepin acts as a visual icon that people can use to show their commitment to the offline dating community, while acting as a point of conversation when two people wearing them meet in real life. To find out more, GDI spoke to Harris about the inspiration behind the alternative to online dating, how she plans to grow Singlepin into a worldwide symbol, and what she believes the main challenges of modern online dating are. Can you explain Singlepin and what it does? Singlepin is designed as a symbol of real life connection and a welcome return to ways of meeting people naturally and in everyday life. A stylish, solid, silver pin, it is worn to represent single status as well as the individual’s belief in meeting people through more organic means, i.e without technology. In terms of how it works, simply pin it to your coat, lapel, dress, shirt or bag and once pinned it will act as a talking point and connector for likeminded people. Because the product is so unique we’re finding that when people do spot someone wearing it, it’s almost impossible not to engage with one another. Why did you decide to create Singlepin? What was your inspiration for the idea? The inspiration was to create a subtle wearable icon for people to be able to connect and identify with each other in real life. It’s a subtle and stylish icon, only people in the know recognise it, the pin acts like an emblem representing you are part of the community. Singlepin is not limited to one dating site or one organisation, it crosses all, is open to all and is accessible to all. It’s for anyone and everyone who wants the opportunity to connect with others in real life. What do you think are the main challenges of online dating today? I’ve lost count of the many bad experiences people have described to me regarding their online dating encounters and yet still they persist because online dating has kind of become the “in thing” now. We really want to remind people that it’s ok to take a step back from this and that paying endless monthly memberships isn’t necessary. There is not much equality, caring or empathy online. It’s very easy to be faceless or in fact be whoever you want to be, even if you’re lying to both yourself and your prospective match. Do you think people are disillusioned with it? Yes, I think many people are becoming disillusioned and have had enough. Singlepin is a reaction to online use, it brings back the simplicity in dating and I think that’s why it’s had so much interest. It offers a viable alternative which is much more real – what you see is what you get, people are more discerning in reality. 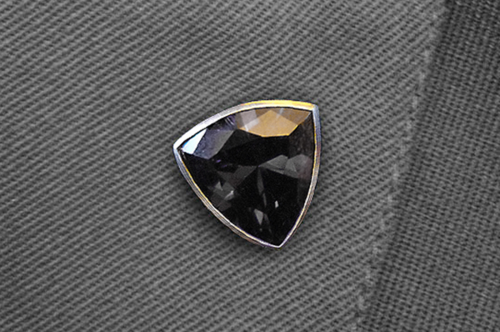 Who do you think will wear a Singlepin, and why? We want Singlepin to remain accessible to all. Initially it was proving most popular with men and women over 35, however as support and awareness continues to grow, the age range has completely varied from 18 all the way up to people in their 70s. We believe it’s appealing to all age groups because dating and relationships are such universal concepts, it doesn’t matter who you are, how old you are or where you come from, it affects each and every one of us. Do you think the idea will only work if enough people are wearing the pins? If so, how do you plan to overcome this hurdle? Geography will play a big part in the success of Singlepin and this is partly why we endeavor to remain accessible to all. Our sales statistics at this point indicates that within a very short space of time you are most definitely going to spot a few Singlepins out and about, on your local high street for example. In terms of any hurdles, we’re finding that word of mouth is working heavily in our favour. We’re also gaining a lot of support within the blogging community, particularly from Paul Thomas Bell, who is one of the top dating bloggers in the UK. How are you planning to grow the brand and the idea, in order to get the word out? Social media is proving particularly effective for us at the moment along with the support of the blogging community. Longer term we hope to retail Singlepin at events, festivals, shops, salons – you name it. We’ll also be holding Singlepin events throughout the UK and again because the concept is so universal, we’re looking to go overseas as well. 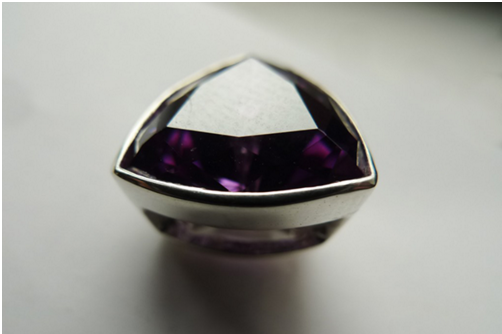 The price is £15 and it comes in two colours: Onyx & Amethyst. It’s unisex, men & women are wearing both. It’s very classy. 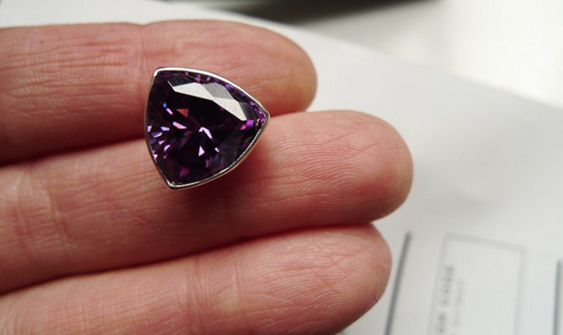 Unless you know what it is, it just looks like a really cool piece of jewellery. How many people have bought a Singlepin so far? I couldn’t tell you the exact number off the top of my head, but we’ve had significant sales in just about every major UK city with more coming in every day. Do you think we will see more “offline” dating tools appear as a reaction to the growth of online dating? Hopefully Singlepin will become the main alternative, but yes I believe so. I think more and more people want to get offline and meet in the real world. Singlepin is appealing to people because of its originality, there’s literally nothing else out there like it. The beauty of Singlepin is that it is open to all. Growing the brand, spreading the word and hopefully adding to the success stories. Ultimately we want to bring connection and dating back into the real world. To find out more about Singlepin, visit its official site here.